Say goodbye to dry, itchy scalp! 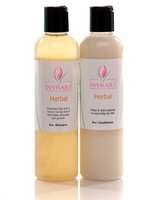 For a few minutes once a week, you can give your hair and scalp the moisture boost it so desperately needs. Simply apply our Herbal Hair Oil treatment prior to shampooing, and your hair will gain back its luster, shine and bounce - right away! Your friends will think you have a personal hairdresser locked in your closet. So give your hair the nutrient boost it�s been begging for. You deserve great-hair days every day. 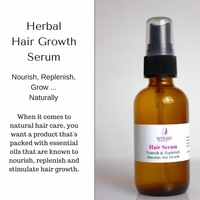 Our herbal hair oil is perfect for moisturizing your scalp after your shampoo. It's also wonderful as a hot oil treatment. Our oil is light and leaves a beautiful shine to any hair type.